What Are The Tax Consequences of Foreclosure and Short Sales? Short sales and foreclosures often result in forgiveness of debt for the borrower. Forgiven debt can result in taxable income. Since the amount of debt forgiven is often quite large, this can be a scary proposition to a lot of debtors. The good news is that if your mortgage debt is forgiven during tax years 2007 through 2012, you may be able to obtain tax relief through the Mortgage Forgiveness Debt Relief Act. Under the Act, you may be able to exclude up to $2 million of debt forgiven in relation to your principal residence (or $1 million if married but filing separately). You can include mortgage debt forgiven in a foreclosure or through mortgage restructuring. In order for the debt to qualify, it must have been incurred to buy, build, or improve your principal residence, and must be secured by that residence. What type of mortgage debt doesn’t qualify? Debts forgiven on second homes, rental properties, and commercial properties do not qualify. Also, proceeds from a refinance that were used for other purposes, such as paying off credit card debt or medical bills, do not qualify for the exclusion from income under the Act. However, there may be other tax relief that applies, and you should contact a tax professional for more information. 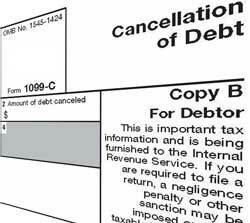 When debt is forgiven, the lender will send a Form 1099-C (Cancellation of Debt) at the end of the year. This form will show the amount of debt forgiven and the fair market value of the property foreclosed, if applicable. Examine this form carefully for errors, and notify the lender immediately is any of the information is incorrect. Make sure to give the form to your CPA or tax preparer when it is time to prepare your tax returns. If your home is foreclosed upon, or you do a short sale, and the remaining debt is not forgiven by the lender, you may have a deficiency balance. You will be responsible for this balance and should contact a qualified St. Louis bankruptcy lawyer regarding your situation. 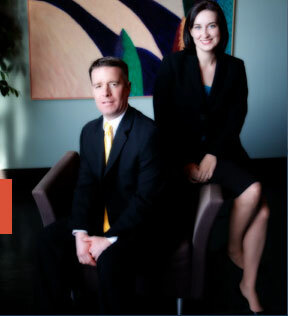 A St. Louis bankruptcy attorney may be able to help you discharge this debt.